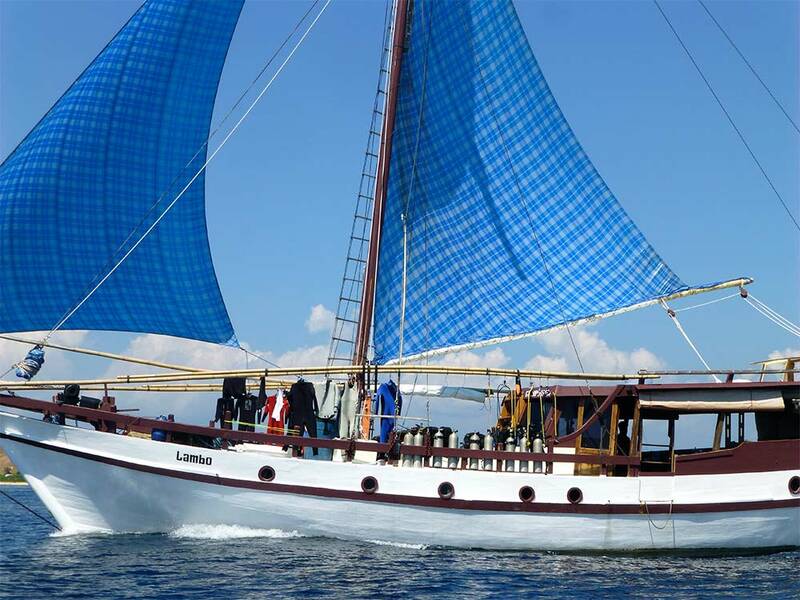 The word Lambo refers to a type of Phinisi schooner built in Sulawesi, and this particular example took it as a name. She is 24m. long and can sail on the wind or use her Mitsubishi motor. 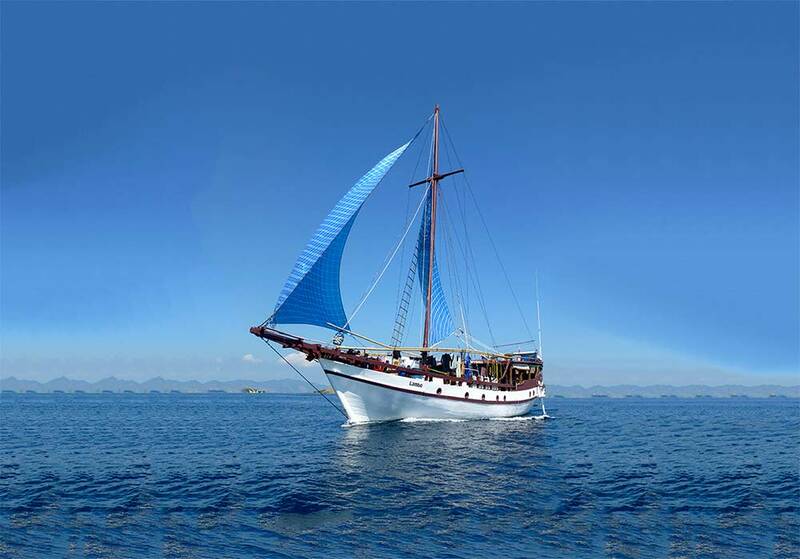 Although a very traditional design, Lambo is quite new (2009) and offers up to 8 guests modern comforts and safety along with the classic feel of sailing some of the least-explored seas in the world. 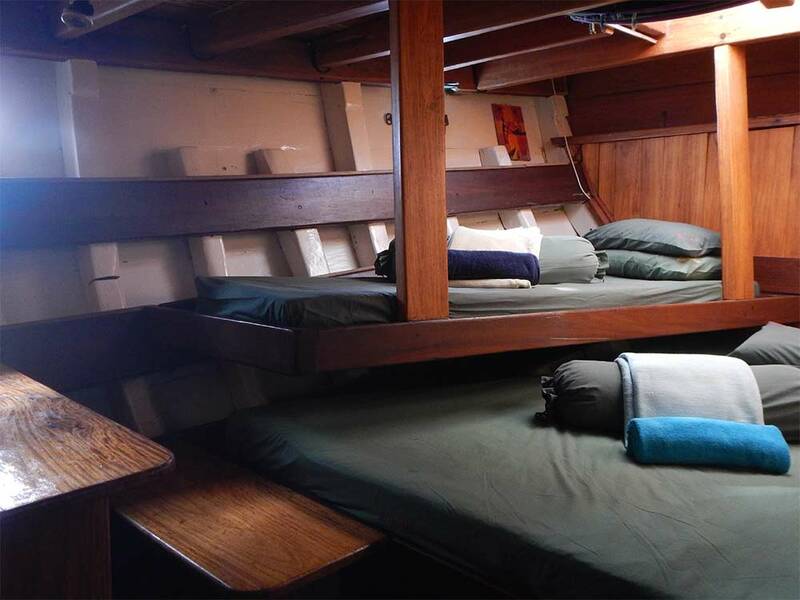 The guests stay in four doubles cabins, and share two bathrooms and toilets. 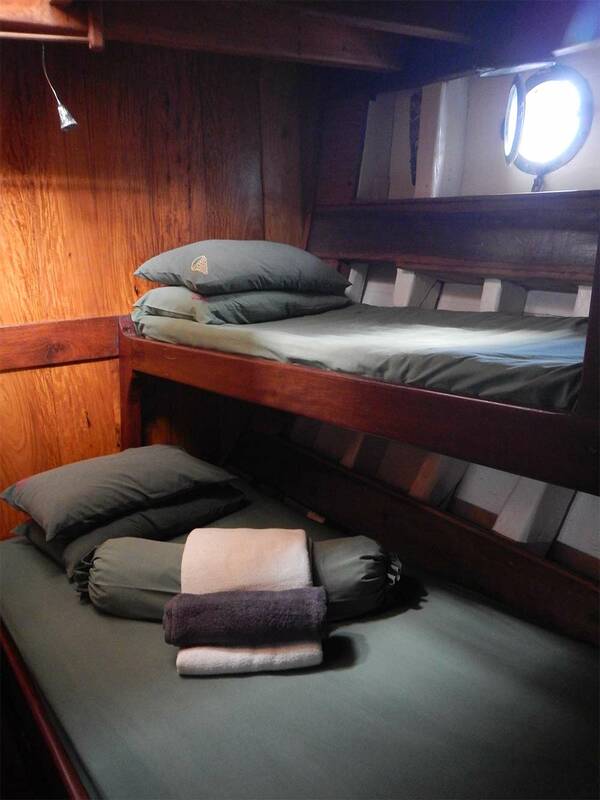 One of the cabins can be converted to bunk beds. 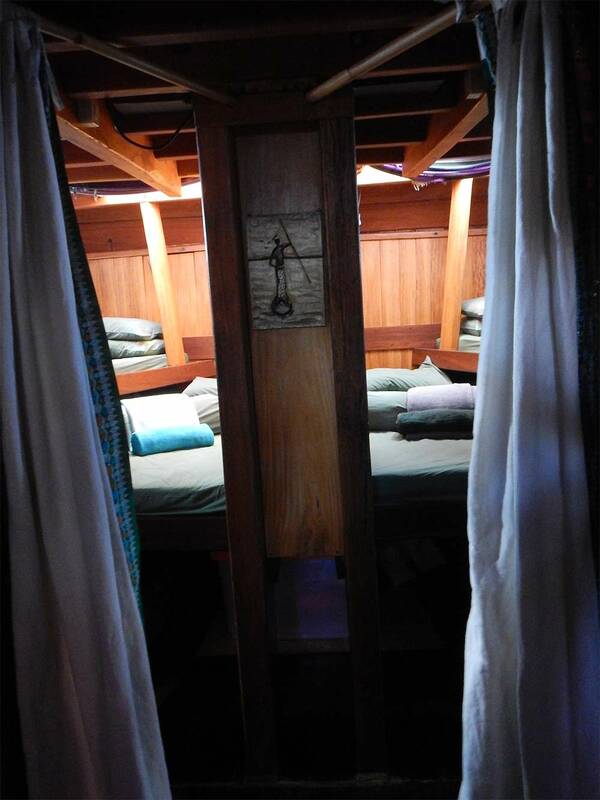 There are several places and areas on board to find some peace and quiet, or to chat with fellow guests or staff & crew. These include open-air and shaded areas. 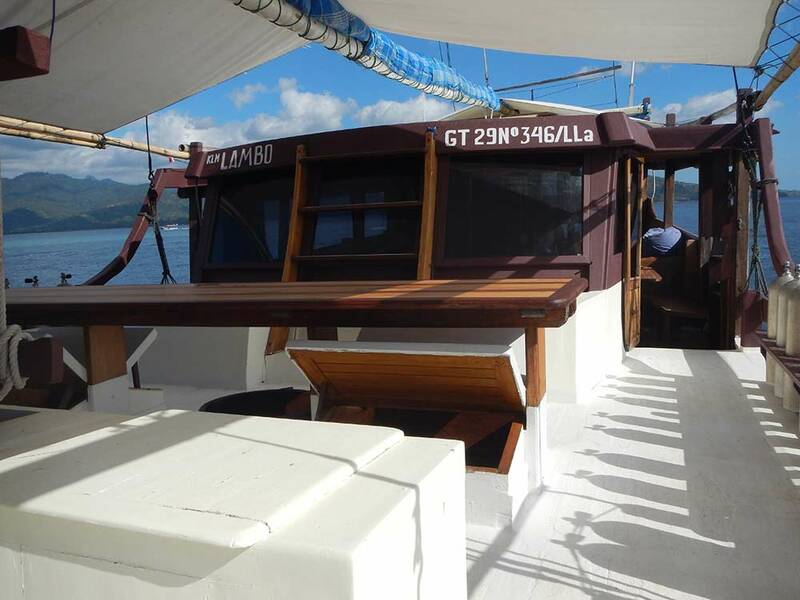 The trips are very sociable and visit the best diving sites in the area at the time of year. 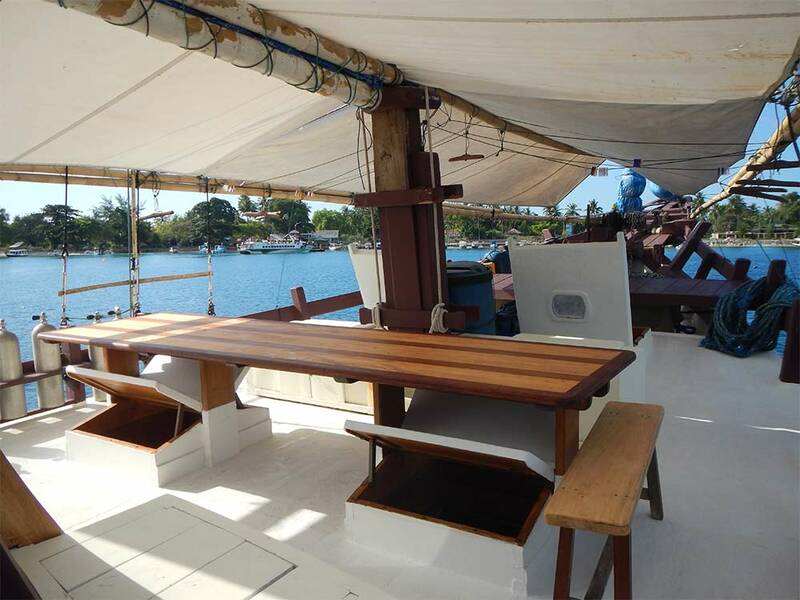 Also, having so few guests on board means that each itinerary can be more tailored to the needs and diving levels of those on board. Trip lengths vary from a week to nearly a fortnight. Also, depending on the time of year, Lambo is always where the diving is best. The food is a mix of local and western cuisine, served buffet style. There is always a vegetarian option, and non-diving guests can join diving trips at discounted rates. There are various Lambo itineraries, so please check the schedule for your preferred trip. Please also take note of the departure and return ports. 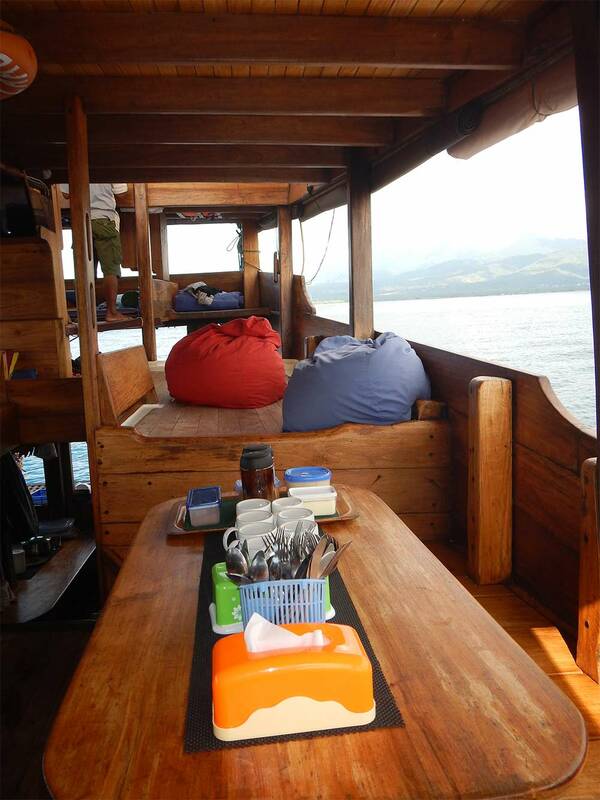 Komodo trips usually start in Gili and finish in Labuab Bajo. 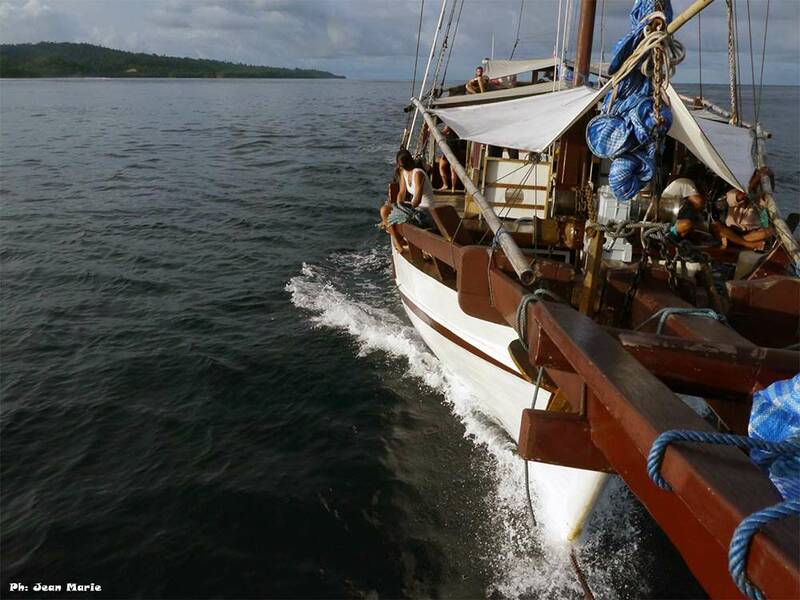 Raja Ampat trips normally start and finish in Sorong, but some start or finish elsewhere. Crossing trips normally start at one port and finish at another. 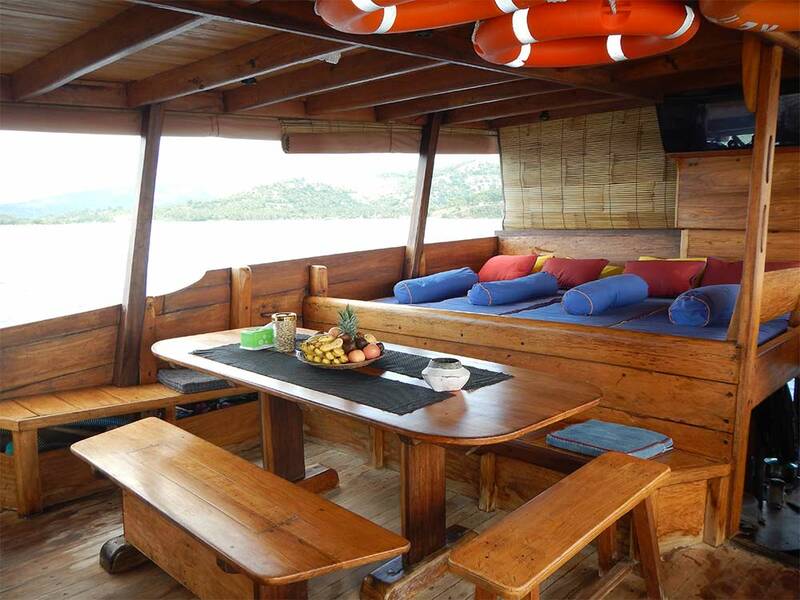 Most guests who enjoy diving cruises on Lambo do so as 'fun divers' and are looking to relax and just enjoy Divermaster-led dives. However, if you would like to take part in a diving course on any of the cruises, please let us know in advance. Although we can't promise to provide every course, we will always try our best. In most cases, Lambo guests receive a free pickup & drop off service at the beginning and end of each trip. These complimentary transfers are from local hotels and resorts and the nearest airport to where Lambo sails from or returns to. Please check the schedule and itinerary carefully before booking your travel. 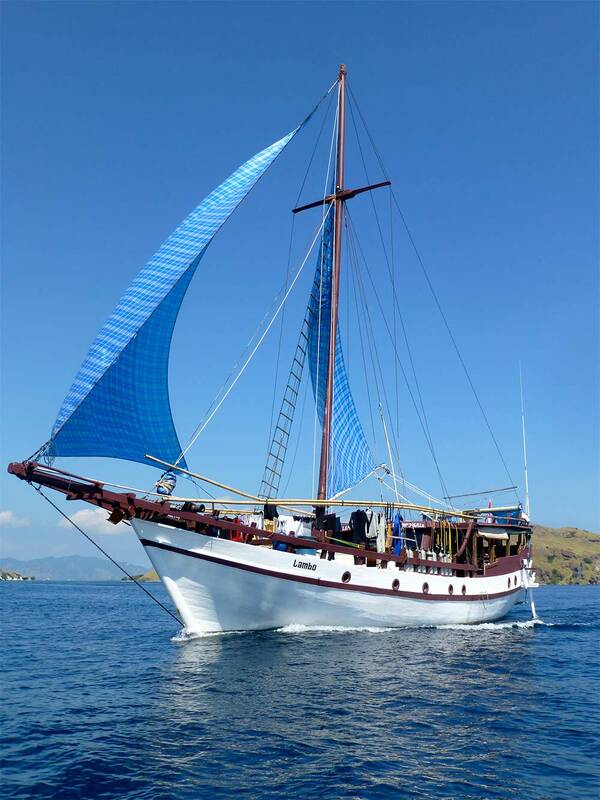 In fact, most guests ask our travel team to take care of domestic Indonesian flight bookings because it can be very difficult from overseas, other than through Air Asia and one or two other airlines which also operate internationally.